More choices = more successful downtowns? If there’s more variety and choice, will people purchase less or more? One thing’s for sure, according to a University of Pennsylvania study, “If there is a perception of increased variety, people eat more,” says Barbara Kahn, vice dean and director of the university’s vaunted Wharton Business School Undergraduate Division and expert in consumer choice and brand loyalty. 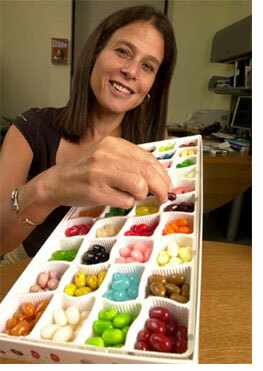 They even conducted a study with jelly beans to further substantiate their claims. More choice = more consumption, and it doesn’t have to be measured in just calories. Does this help explain why the most prolific, active town centers are ones with mainly independent businesses? Maybe why economist Richard Florida found the most diverse cities are also the most economically successful? Why the variety of choice in cities is more appealing than the monotony of suburbia, and why condos (associated with cities) are now more valued than single-family homes? I’d venture to say yes. What’s your opinion? Comment/post questions below.